There are some elements of a room—a great chair, a fabulous lamp, a standout sofa—that beg to be noticed. Then there are some that play a more supporting role, not always getting the attention that their flashier brethren demand. Yet because those items have to do some heavy lifting in tying the room together, they can actually be harder to choose! When I was selecting pieces for the eclectic modern living room makeover I’m working on for a client, the seating for the space came together relatively quickly. But when it came time to choose coffee tables, though, I spent hours searching for just the right ones to tick all the boxes. The ones I chose (you’ll recall that there are two seating areas in the space) had to complement all the other components, be just the right shape and size, and of course be handsome in and of themselves. In the end, I gravitated towards mixed materials coffee tables to cover as many bases as possible! 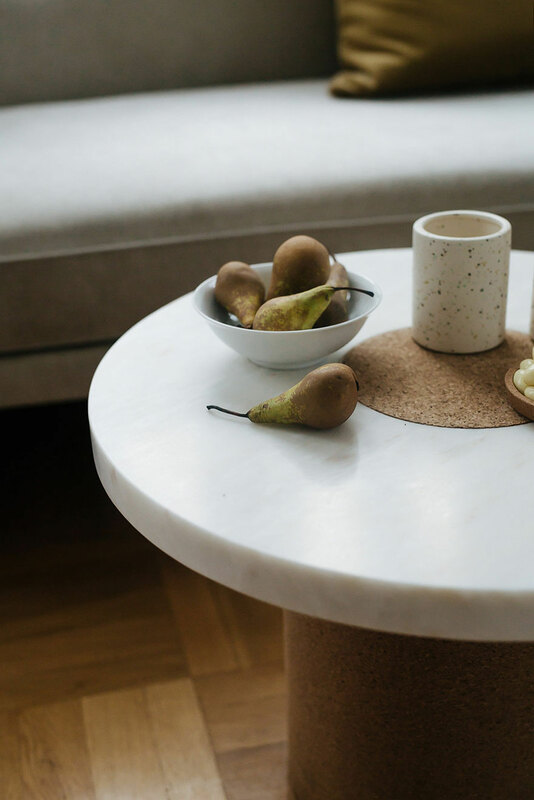 The benefit of a coffee table with mixed materials is that the different finishes and colors in a single piece can each speak to the various needs of the space. In our case, a coffee table in light stone and pale wood like the ones shown here will serve many functions. For starters, the airy blend of organic materials will soften the weighty velvet sofas that surround it in our floor plan. We ended up choosing a blocky shape that will provide counterbalance with a stone hearth on the other side of the room; and the white of the stone will be in good company with a cream shearling settee several feet away. Even though these are the tables that didn’t make the cut for our project, I love that each of the pieces here has its own unique personality. They would also be a versatile option in rooms of many styles and color palettes! To see how the client project that inspired this post comes together, continue to follow along on the blog as we progress IRL! Shopping Guide: 1. Round Marble and Wood Coffee Table 2. Rectangular Marble and Wood Coffee Table 3. Shagreen and Glass Coffee Table 4. Curved Edge Marble Coffee Table 5. Block Coffee Table 6. Rattan and White Coffee Table 7. Bentwood Round Coffee Table 8. Tri-Level Marble and Wood Coffee Table Top image source.